So what am I up to at the moment? 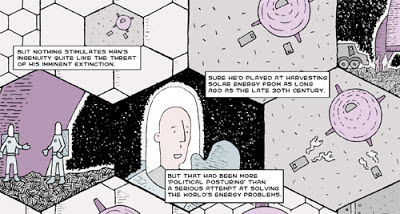 Well I've finished my three page contribution to a Scientific graphic novel about what happens when all the oil runs out. It's in my usual style and is the typical downbeat tale that I throw together when I know that I'll be illustrating it. 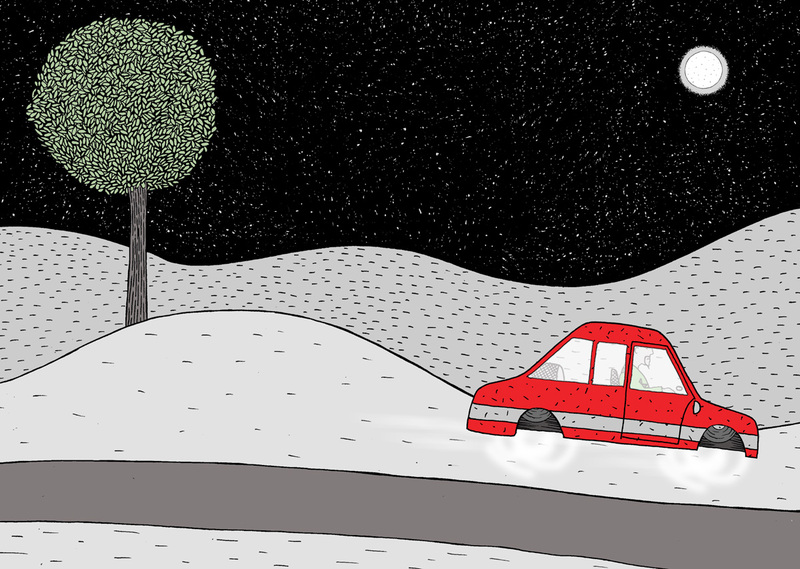 In fact when I'm illustrating a story on my own the whole thing kind of evolves as it goes along. It's nice to finish something and I hope they like it. In other news WesterNoir is moving along at a really good pace, mainly thanks to Gary's passion for the project as he keeps us focussed on it. I'm really enjoying where this is heading and our colaborative get togethers are great fun. Book 3 is at the printers and Gary is 11 pages into Book 4. We've also plotted out most of the second story arc, and it's going to surprise quite a few people I think. 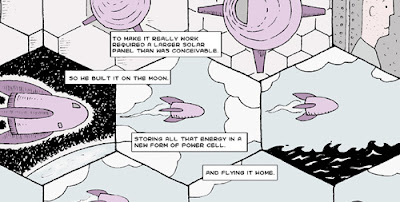 I'm also working on another mini-series with an artist I met in Sweden. I saw Anders Lundell's art and it brought to mind a story I'd been playing with in the background. More fantasy than anything else I've written and something that needed the right artist. Well, I'm fortunate enough to have found him and he's currently working on designs for the first issue. I'll share some of his design work soon, but just as a taster, here's his work on the city which acts as a backdrop to the story. It's funny putting work like this alongside my own. I'm more a doodler than an artist I think as Ander's has captured the city in a way that I wouldn't be able to acheive in a lifetime of doodling. I'm looking forward to sharing more about this and will do so as it develops. Strange Times Book 2 - Evolution of a cover. 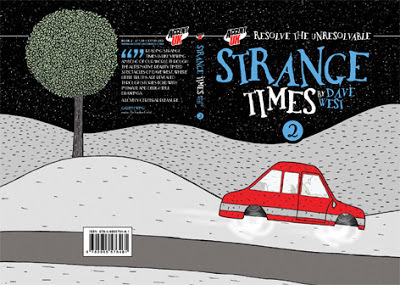 Strange Times was always going to be a trilogy in two parts, and I'd always intended the cover of the second book to reflect that of the first. I wanted it to be similar, but different. The danger though, as I've experienced a little with my Blessed/Cursed books, Whatever Happened To The World's Fastest Man ? and Missing - Have You Seen The Invisible Man ?, is that this can confuse people. I've had customers at the table in conventions say that they'd read The Invisible Man when I knew that they couldn't have. When I then show them Fastest Man and point out that it's different they have all then bought the new book. How to make it similar, but different. OK, how about setting it at night. OK, that seems to work. I had to lose the animal this time as it's night but I quite liked it. Time to send it off to Andy Bloor to work his magic. Andy had problems with the moon. I hadn't thought about the placement of the book title. That's why I'm not a designer. Yep. I like that. 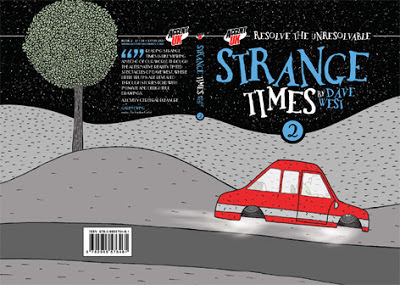 I had thought to make the lettering red, similar to the car but once again Andy had been right to make it blue. A day or so later however I wondered that maybe the background fields were a little too light and that they lost the impact of the vapour beneath the car. And there you have it. I'm really happy with the finished look. Now I just need to sort out a quote for the back cover... oh, and finish the internal pages. Thanks as always to Andy for his help in making our books so polished, and for being patient with my 'ideas'.